CÉMOI works with chefs and artisans throughout the world in order to perpetuate the Group’s know-how and share our passion for unique tastes. Franck Michel’s professional career started in Lorraine, followed by the Parisian region. He then joined the Maison Oberweis, Relais Dessert International in Luxembourg as Head of Desserts then created a range of pastries for Flo Prestige up to 2001. Franck is also demonstrator and trainer for DGF. 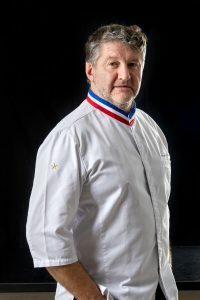 His hard and determined work paid off in 2004 when he won the prestigious award of Meilleur Ouvrier de France in the Pastry section and then in 2006, World Pastry Champion. Franck Michel is currently operating as trainer and consultant. 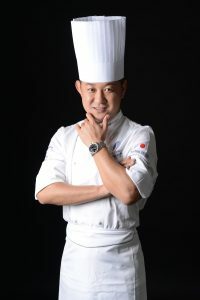 Takeshi Shibata is one of the most influent chefs in Japan and owner of the Chez Shibata restaurants. He started his career in the renowned Ritz Escoffier Palace in Paris where he fell in love with French gastronomy which now inspires all his creations. Takeshi Shibata is a fervent representative of his country and regularly participates in conferences and is very present in the Japanese and international media. Pastry chef, Gregory Soulavie began his career in the family bakery pastry shop before becoming a pastry demonstrator trainer for the famous Institut National de la Boulangerie et de la Pâtisserie INBP (National Institute of Bakery and Pastry). In 2012, he decided to move to Japan and became an independent pastry consultant with the aim of sharing his knowledge and expertise. 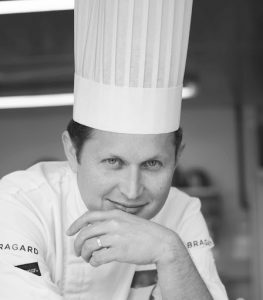 As a CÉMOI ambassador, he works closely with the teams to develop recipes adapted to local needs and highlighting the gastronomic character of the CÉMOI brand.